Next week sees the official release of R.S. 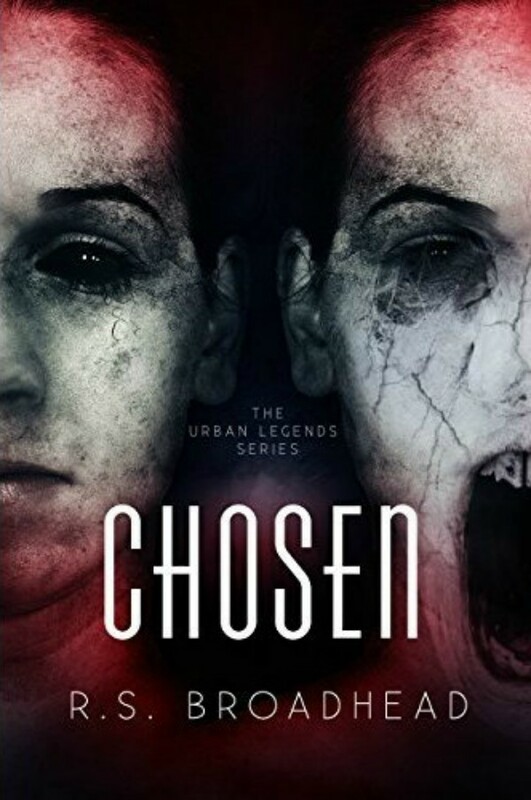 Broadhead's new novel, Chosen. Black eyes. No emotion. No sympathy. Only emptiness. Piper McAdams’s life was normal. Career? Check. Boyfriend? Check. Friends? Check. One unsettling run-in with a homeless man turns everything from normal to terrifying. She begins seeing…things. Things she can’t seem to explain or make any sense. As if things aren’t already getting out of hand, Piper receives news that the only family member she has is dead. She thinks maybe a trip across the country to her hometown will get her away from all the strange events happening. After a late night accident, Piper isn’t in her hometown burying her loved one. She’s in a town called Hell. All she wants to do is leave, but the people seem to be holding her there for some reason. A reason she feels threatens her life. Around every corner, things become darker and scarier. Can she escape what is coming for her? To celebrate the release of this creepy new novel, author R.S. Broadhead shares five movies in the same vein as Chosen. R. S. Broadhead lives in Jackson, Alabama, with her husband of ten years, their two little girls, and a pug named Wednesday Love the Duchess, or Winnie for short. She has a bachelor’s in psychology and a master’s in business administration. She loves to snowboard, travel (Australia is her favorite place so far), and dance (not professionally, just whenever she feels like it). When she was sixteen-years-old, her and her friends would take pictures and make up funny stories about them. Fourteen years later, her first novel, Unveiled: Realms of Darkness Book 1 was born. Rosemary's Baby was a bit creepy. I'm a wimp - I'll give these a miss! Children of the Corn freaked me out so much! I can't deal with creepy kids in movies lol!! A scary book I am sure many people will check out. This will probably make me scared lol! My husband and I love all these!! Everything horror is amazing!!! The Wicker Man and Rosemary's Baby were super creepy to me. This sounds like it will be right up there on the creepy scale! Are you going to write an essay on leadership? Read this article and follow the tips.